The world of tiles is wide, spectacular, and diverse; with seemingly endless variety of options and products. Tile flooring and wall products are offered in a large range of textures, patterns, and sizes. When combined with the spectrum of grout and glaze options, there are so much more design tile options for your home! Here are a few selections that could help you find the best combination of aesthetics, style, and performance that not only fits your home, but also fits your budget. 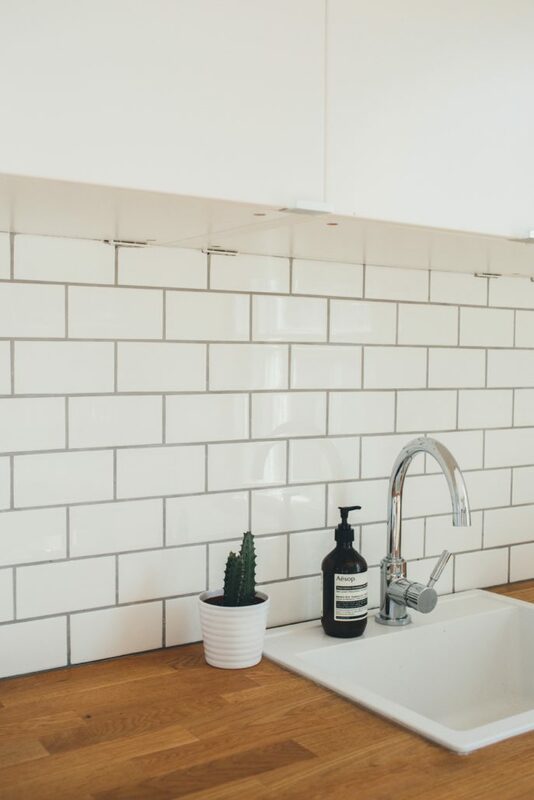 Large-format tiles shares lots of styles and function benefits, as it has a large impact, aesthetically pleasing design, easier maintenance, and maximizing your space. Large-format tiles, also called LFT, have grown much bigger today than in the past, and the industry continues to experiment and grow through new technologies. Today, the large-format tile is anything with one side that exceeds 16”. Large-format tiles are an incredibly versatile design option, and they can both come in square or rectangular shapes; or either in ceramic or porcelain. It also has the ability to make the room look larger than it actually is, without overwhelming your space! One of the most important things that large-format tiles is that they minimize grout joints, creating a really glamorous design. Not only is it much easier to clean and requires less maintenance, but it can create an elegant and crisp look. Designs and trends come and go, and are constantly evolving; allowing you to create the ultimate expression of your imagination and self-expression. The iconic shapes and patterns of geometric tiles allow you to make a bold statement in any space. Geometric tiles can include shapes such as squares, rectangles, polygons, diamonds, pyramids, ovals, hexagons, and so on. 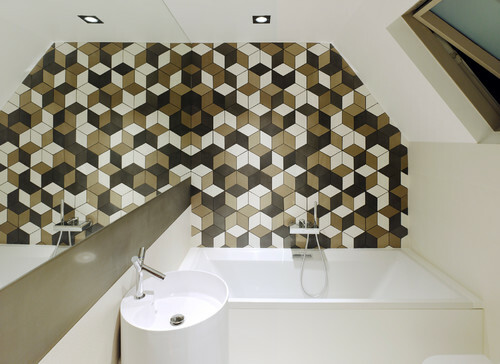 There are so many different variations, designs, and shapes with geometric tiles; there are limitless possibilities! Geometric designs can be printed on the tile, and create an artsy feel for any space; these types of patterns have universal use! You can either use it as an accent wall to create a bold focus point, or it be used sparsely to create a more artistic statement. Shapes such as diamonds, hexagons, rhombuses stand out compared to other shapes such as rectangular or square shapes. If you want to make a bold statement, geometrically patterned tile is the key to making a bold, flashy, and bright statement. You should try to create your own geometric designs with tile, as this will attract the inner bold and artsy designers in you. Not only will you be able to have full control of what you want, but your tiles can be used as a form of self-expression! Gilded tiles can either give a modern luxury design or an art deco design; maybe even a blend of both! So, what defines gilded tiles? First, it is inspired by art deco, which became popular around the first World War. It became a symbol of luxury, with glamorous craftsmanship. It is usually mistaken with geometric tiles, however geometric tiles provide simple outlines or shapes; while gilded tiles have a blend of many tile styles and have enough versatility to be customizable to fit any room. Mosaics of geometric designs such as diamonds or hexagons are a good place to start. 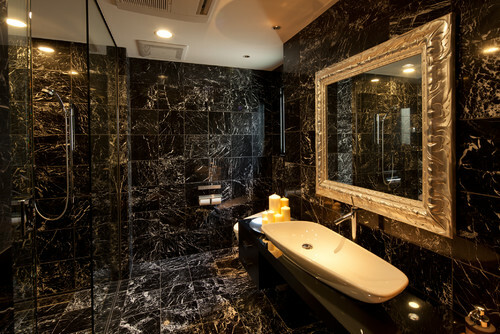 Reflection on gilded tiles can add an element of shine as well as open up space. This can compliment the gold, glamorous feel of the gilded tiles. 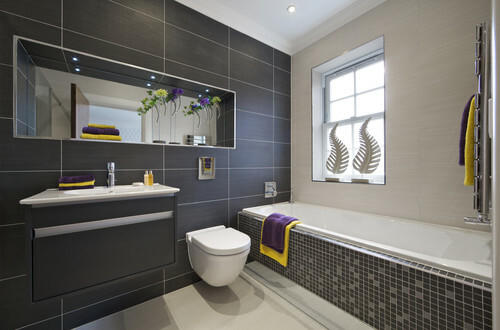 Reflection can also create a brighter and lighter feel to smaller or darker rooms. There a endless options of tile designs! Hopefully, these few ideas have given you an idea of what kind of aesthetic you’d like in your home!